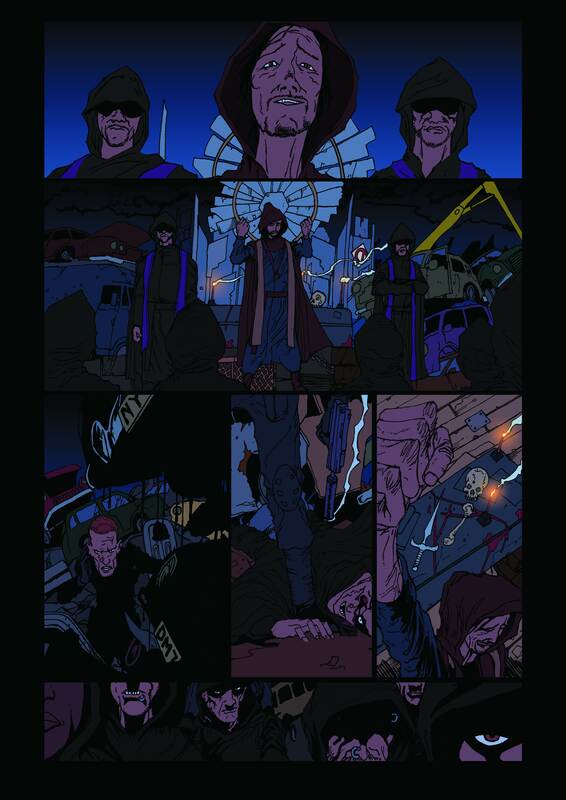 As promised here’s another look at the page 1 of Blood Cries Out with fifty percent of the colour now added by Gat. Stay tuned for the end of the week and the finished page complete with lettering from Nic! I’ve already seen the next stage of this page with more colour and more special effects!! !